I am restoring a 1968 S1.5 OTS. While working on the brake servo, I found that the Brake Servo Stop Pin which fits into the Cylinder Body is missing. None of the suppliers who I have contacted, stock this pin. Because I wish to keep the car as original as possible, I had the Servo Cylinder resleeved, so I don`t want to pay around 250 pounds sterling for a complete new Servo unit. I am not confident about trying to fabricate something for the brakes, has anyone, one of these pins which I could purchase ( I live in Germany) or have idea where I can obtain the correct pin. I have a couple of servos in bits. I'll have a look. I have one; PM me your address. Just for the exercise I turned one up out of a grade 8 bolt in about 5 mins on my lathe. As all it does is stops the piston from returning too far I'm sure that if you made one it would be perfectly safe to use it. PS my lathework is a lot better than my drawing abilities. Last edited by abowie on Sat Oct 27, 2018 12:16 am, edited 1 time in total. Trying to make it even easier. I turned one up out a 5/16" bolt so you don't have to machine the top. 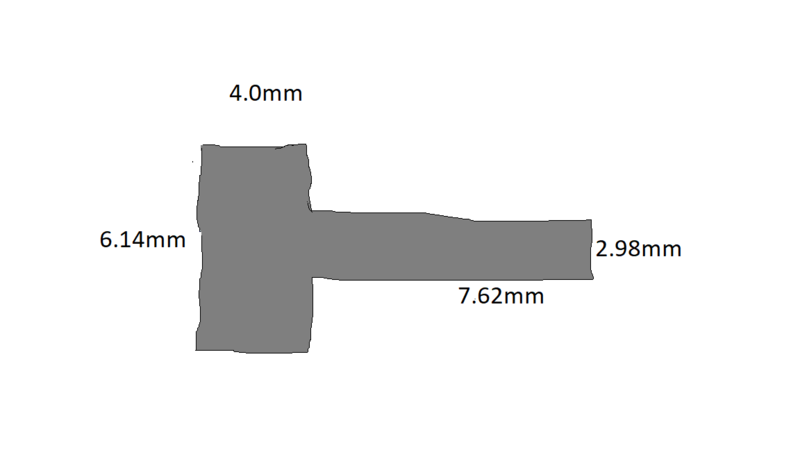 The top diameter is 5.88mm so a little smaller but will work. Another option that occurred to me was to turn down the threads on an M4 capscrew. I did this in my lathe but you could do it by chucking the capscrew in a drill and using a file to narrow it down. 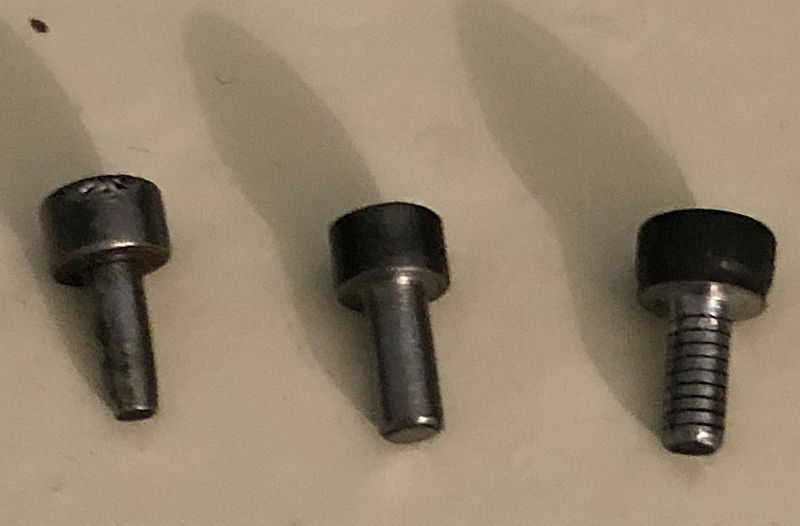 L to R original, 5/16 bolt and capscrew. Thanks for your constructive idea's. The idea with the M4 cap screw worked perfectly , filed one down to the dimensions on your drawing, fitted first time. Got to think about getting a small lathe for my workshop. Certainly would make jobs like that a lot easier. Excellent! As to the lathe, get one. Best toy I have and I use it all the time. is that you? How is your OTS doing? When I pass Senden I am always thinking about you. You were right years ago when you said I would have my own workshop. I am actually restoring a few S1 Coupe for myself. You are always welcome to visit me.